Welcome To Your Block Party Registration Page! This is a one-stop shop to obtain permit requests, barricades, sports equipment, free food, and block party resources. If you have questions or need help, call 780-459-1756 (8:00am-5:00pm M-F). This web site is operated by St. Albert Neighbourhood Watch. Your information is only used to administer the Block Party program. We do not sell your information or use it for any other purpose unless you provide permission. First Name Select Ms. Mrs. Miss Mr. Dr.
How many homes are being invited? Neighbourhood Watch will provide flyers for you to distribute to each home. Maps can help when counting the houses being invited. Tap here to find a map of your neighbourhood. A permit is required if you want to block off the street. Tap here to download an application form to block a street. Collapsible plastic barricades can be carried in your car. Tap here for a picture. Crime Prevention Flyers should be delivered with your party invitations. If you don't want free food, then flyer delivery is optional. All residents must be invited to your party - you cannot exclude any neighbours. Crime prevention flyers must be delivered to all residences PRIOR to the block party (do not distribute them during the party). The numbers entered for adults and children will only be the people who have CONFIRMED they will attend, and will not include people who MIGHT attend. Parties larger than 150 residences might not qualify - please contact Neighbourhood Watch at 780.460.4276 for confirmation. Portable fire pits require a permit. Tap here for a permit application form. Select your equipment bag in Step 3 after tapping "Save". Meanwhile, tap here to view the sport equipment list..
Have you engaged youth to help with your block party? Show them that the neighbourhood and City of St. Albert value their participation. Reward them with a “Positic” that allows them a free play at a City recreation facility. By selecting this option, you will be provided with 5 Positics. Contact Angie if you need more at adedrick@stalbert.ca. 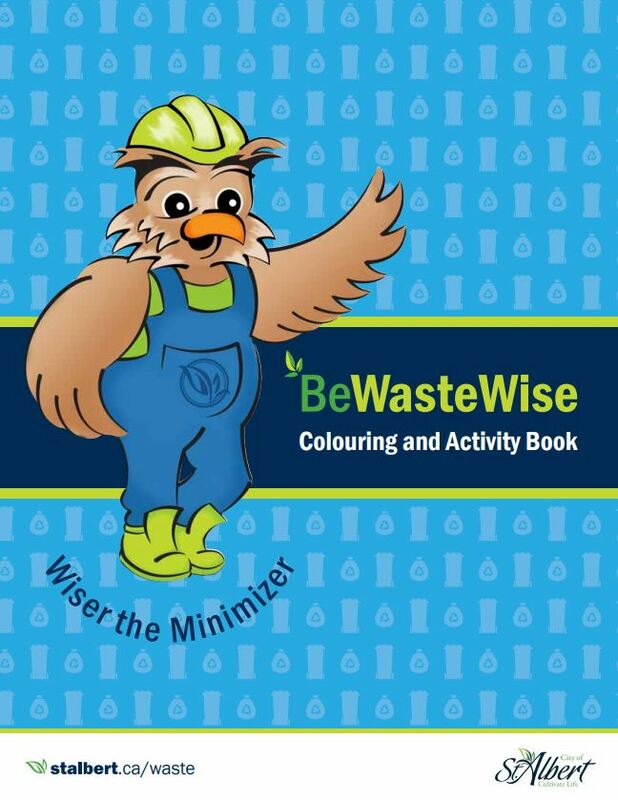 Be Waste Wise" colouring books are available for the kids. You can order them when you fill in the food order at the bottom of this registration page. Tap here for the poster in a PDF document. Tap here for the tips in a PDF document. The Food Bank will loan a donation bin if you want to place one at the party. For a list of needed items, go to stalbertfoodbankandcommunityvillage.com/support-us/food-hampers/. If you check this box, we will have one of our Block Party mentors contact you. The mentors are St. Albert residents who have lots of experience planning block parties. Would you like us to request that a St. Albert MLA (Marie Renaud or Dale Nally) attend your block party? Would you like us to request that the St. Albert MP (Michael Cooper) attend your block party? Invite Council: Would you like a City Councillor to attend your block party? You can invite specific Council member(s) to attend your party. Tap here to view art activity. The City of St. Albert provides assistance to people cleaning up public areas. The City of St. Albert's Environmental Initiatives Grant Program provides funding to qualifying projects. More Resources: Invitation samples, list examples, insurance, etc. Want helpers? Register for the Good Neighbour Project and we will introduce you to other people on your street that are interested in a block party. The registration form is here. Examples of party invitations can be downloaded from the City's web site under the "Need some help with your party?" topic. Keep track of who is coming and what they are bringing on the Block Party RSVP List spreadsheet. Make a list of residents and their contact info on the Contact List. Neighbourhood Watch offers free anti-theft screws for St. Albert residents. Use this sign-up sheet at your party for people who would like the screws installed on otheir vehicle(s). 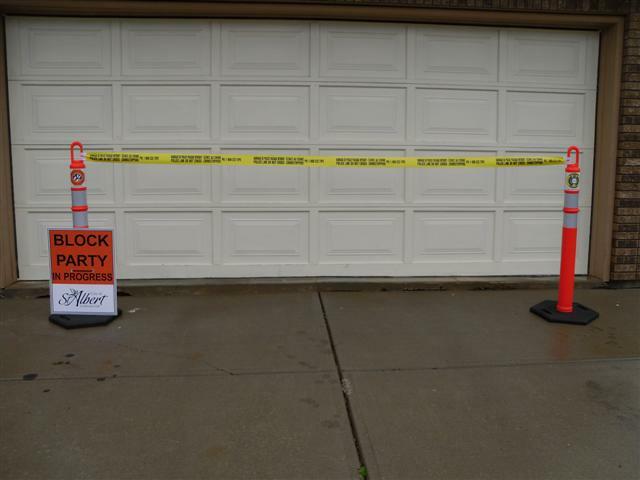 Your homeowner insurance policy should cover most risks, but the City of St. Albert offers block party coverage for $30 per event. Important: Only count people who have confirmed they will attend. Due to limited funding, we cannot provide extra hamburgers and hot dogs for drop-ins. Everyone is welcome to the party, but people who cannot confirm their attendance in advance should be prepared to bring their own food. Enter multiples of 12 (items come in dozens). If the available pickup times are not convenient, consider asking a neighbour to pick up (and return) the supplies for you. (Optional) if you want a text message to remind you about the pickup, enter your phone number here. Reminder text messages are sent at 9:00 AM on the pickup date. Thank you for organizing a block party - you are helping to foster a better community.